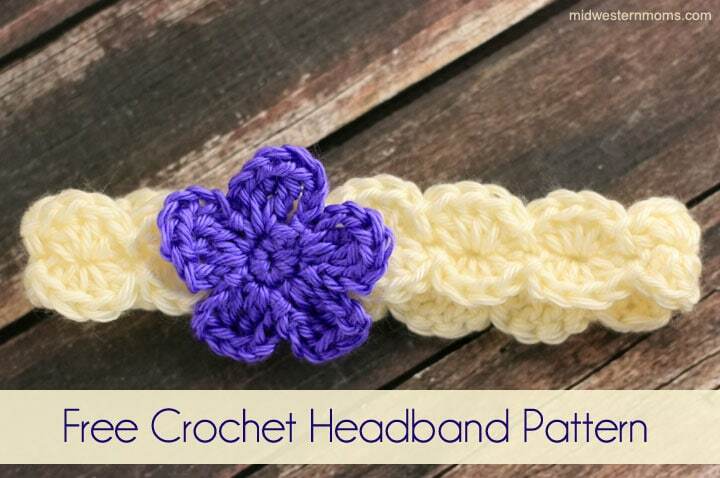 An adorable crochet flower headband pattern that is perfect for a sweet little girl. 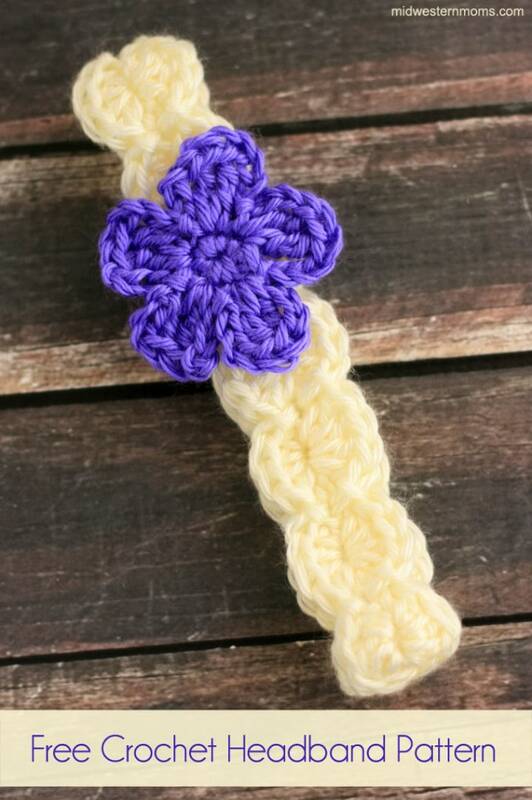 The band is made of crocheted shells, and the simple flower completes the cuteness. Since I have learned to crochet, I decided I would make a few items for gifts. This headband was a gift I made for my niece when she was about three years old, and it was a Christmas gift for her. The band of the headband is a shell headband pattern. Then I added a cute little flower to the band upon completion. This little headband did not take long to wipe up at all. I spent the most time making sure I had the chains right for the length. The headband that is pictured is the 12 months to tween size since my niece was three at the time I made this. So this pattern is for that size. To convert the pattern for any size, make sure your starting chain is the length provided below. 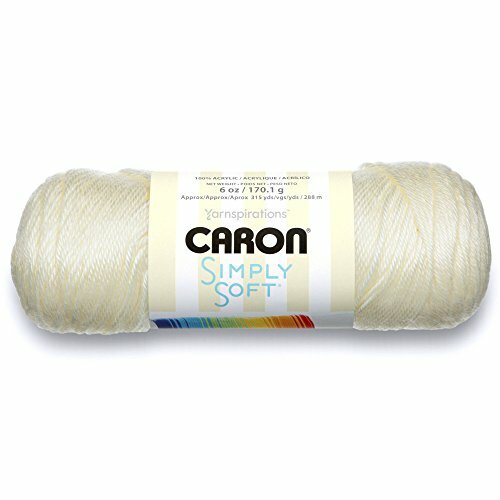 Worsted weight yarn – I used Caron Simply Soft yarn. It turned out soft, and I like the sheen. Loosely Chain a number of chains to get the desired length. Make sure the amount is divisible by 4. Double Crochet 3 stitches in the 3rd chain from your hook. *Skip a chain. Slip Stitch into the next chain. Repeat from * to * until you get to the end. Make sure you end with a shell in your last chain. Double Crochet 4 stitches into the same chain as your last shell. **Skip a chain. Slip stitch into the next chain. Repeat from ** to ** until you get to the end. Join your last shell to the first shell. Cut your yarn leaving a long length. Tie off your work. Using the extra string, sew your headband into a loop shape. Chain 3. Slip Stitch into the first chain to make a circle. Single Crochet 4 stitches into the circle. Slip Stitch into the first single crochet. Cut your yarn and tie off. Now you have to sew your flower onto your headband for completion. Simply put your information in the form below to snag your free printable version of this flower headband pattern. An email will be sent to you to download the pattern. How darling! You are so very talented with a hook! Cute! I’m wanting to get into crocheting – maybe this would be a good place to start! I just started a couple of months ago. I am self taught with the help of you tube! Okay. I think this may be a crochet project I can handle. Possibly! It’s so cute! my mother can crochet, i love the headband, so sweet. I wish I could do this…I’m just so impatient! Your chains may be too loose. When you make your chain, try and make them a little tighter. See if that doesn’t help and let me know. Thank you. I’ll continue practicing!! I did 56 chains for the newborn size and ended up with a 13 1/2 inch headband. Do you mind if someone makes headbands with this pattern and sells their finished product? Not sell the pattern. I’m asking if it’s OK to sell the final handmade product. How much do you sell yours for? You may sell the headbands you make. The price I put on mine vary because of the sizes. I believe I had around $4 on the smallest one and adjusted from there on sizes. Thank you so much. Have a blessed day! Hi, your pattern is so cute! I’m still a beginner, but since this is not big, i thought it might be a good project for me! But i have a question, sorry if its a basic question. I learned that when doing double crochet, i had to insert the hook into the 4th chain from the hook. But your pattern says to put it into the 3rd chain. I’m a little confused by this. Could you explain it?? Thank you!! You are correct for a double crochet, however, this pattern uses a Half Double Crochet stitch instead. Wait, Kelsi. I was thinking of a different pattern. I had it in my head you we were on the dishcloth pattern. I must have made this pattern by going into the 3rd stitch instead of the 4th. If you try it going into the 4th, let me know how it turns out. I have tried several different chain amounts to get the shell at the end and it just doesn’t come out idk why!? Are you making sure the starting chain amount is divisible by 4? Hi my name is April and I just found this pattern. I have crocheted several things but can’t see get the pattern to work for the flower. When I chain 4 then do I do two triple crochet in two of the chain 4 and then chain 4 again before slip stitching into flower base? After going around your circle with the 4 single crochets, you will slip stitch to complete the circle. Then you *Chain 4, Triple Crochet 2 stitches, Chain 4, Slip Stitch* within the first single crochet stitch around the circle. Then when moving to the next petal you will work those into the next stitch until you have 4 completed petals. I hope that answers your question. Let me know if you need more help. Your directions are great! Thank you! I was able to whip this headband up in less than one hour. Can’t wait to make another! Carmen, So glad you liked the pattern! hi – thanks for a cute headband idea. when you are measuring the headband – do you measure it just as 1 long piece before stitching the ends ? Sorry for the late response Carla. The measurement is for how long to make your starting chain to make it the correct size needed. But make sure your starting chain is divisible by 4. Hi, I really like the headband pattern. However, I think it would be easier for other people (especially beginners) to understand how the 2nd shells are made if it said “DC 4 stitches into the same space as last round’s shell, slip stitch in next chain and DC 4 stitches again into the next space of the shell of previous round” and so on. 🙂 Others can easily figure that out and make it work, so I really appreciate your hard work. Looking forward to other patterns. Devon, I just made this for my great niece in white & crocheted a shamrock appliqué for St Patricks day, it turned out so well, thank you for sharing !!! Might sound dumb but i can not figure out how many chains i need for a newborn one? Also what if you only have a J-6.00mm hook? To get your starting chain, you will need a measuring tape (or ruler). For the newborn, your starting chain will need to be 13 inches long and the amount needs to be divisible by 4. I don’t have an exact number since everyone crochets differently and you have a different hook size. You may use a J hook the size may be slightly different.